The Turkish state, led by Erdogan, added yet another crime to its gruesome record of human rights violation. On 20 September 2017, Turkish warplanes launched an attack on the region of Şêladizê and its surrounding villages, killing a number of civilians (at least 10) and wounding others, excluding the environmental and physical sufferings inflicted on the region. This constitutes only an instance in the long pattern of cross-border aerial attacks launched by Turkish warplanes on the people of Başûr (South Kurdistan, Iraqi part of Kurdistan) destroying their environment, killing and wounding hundreds of them. The Turkish state has increasingly made manifest its animosity towards the Kurdish people and their achievements. It aspires to overtly occupy the whole of Kurdistan, eliminate what the Kurdish people have accomplished and to render them bewildered. Turkey’s malevolent and antagonistic politics is not confined with the oppression and persecution of the Kurds in Bakûr (North Kurdistan -Turkish part of Kurdustan). 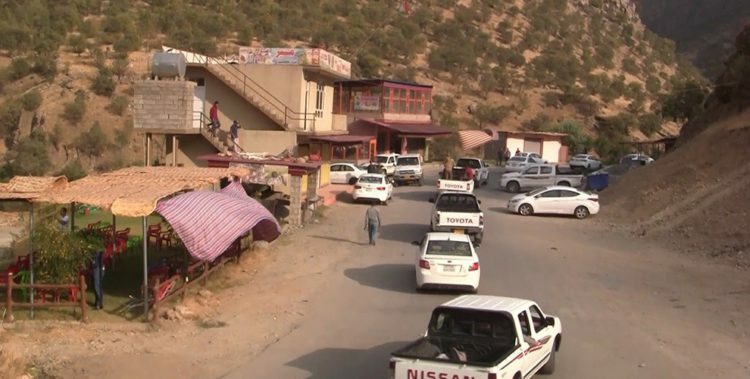 Despite attacks and bombardments, the Turkish state has turned South Kurdistan into a site for its military apparatus, security units, intelligent agents, and a number of terrorist groups. On the other hand, it has been conspiring against Rojava (West Kurdistan), putting a military embargo on it, while threatening it with a possible military incursion. In this situation, the single and foremost mechanism with which to counteract this pattern of oppression and intimidation is accord and unification among Kurdistanian people and their political establishments. Today, more than ever, consensus and unison among the Kurdistanians present themselves as an existential requirement in order to preserve their existence and achievement. We, as the Kurdistan National Congress (KNK), call upon the Kurdistanian people, political parties, media outlets, and intellectuals not be silent in the face of the Turkish state’s barbarity and criminal deeds. Above and beyond, we urge the Kurdistan Regional Government (KRG) to clarify its position on this matter. At the same time, we call upon the public opinion and the institutions of the international community to heed the calls of the Kurdish people and set a limit for Turkey’s oppression of Kurdistan. Once again, we condemn in the strongest possible manner the Turkish state’s attack on Şêladizê and other areas of Kurdistan. We pay our greatest tribute to the victims of this vicious attack and extend our condolences to their families and hope a quick recovery for the wounded.